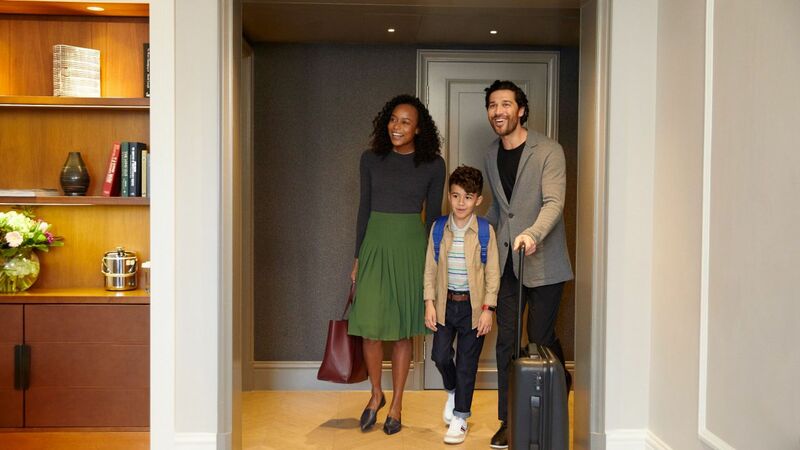 Unpack and unwind in a spacious 514-616-square-foot corner suite, with glass walls, generous views of the airport and bay, a king bed, and a work desk. 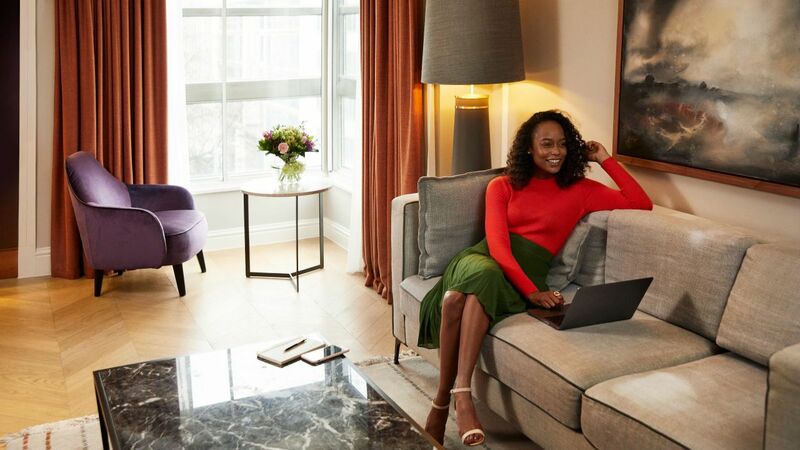 Savor your stay in a roomy 630-square-foot suite, which includes a separate bedroom with a king bed, plus floor-to-ceiling windows and a work desk. Overlook the bay from a sleek 952-square-foot suite, with a living and dining room, a guest bath, a king bed, and a work desk. Reserve our most opulent suite, which spans 1411 square feet, to enjoy a separate living room, dining room, as well as floor-to-ceiling windows and a king bed. Take in sweeping views of the airport and bay from a 514 – 616-square-foot accessible suite, with a roll-in shower, glass walls, a king bed, and a work desk. Enjoy the view from a sprawling 630-square-foot suite, with an accessible tub, a separate bedroom with sleeper sofa, a king bed, and a work desk. 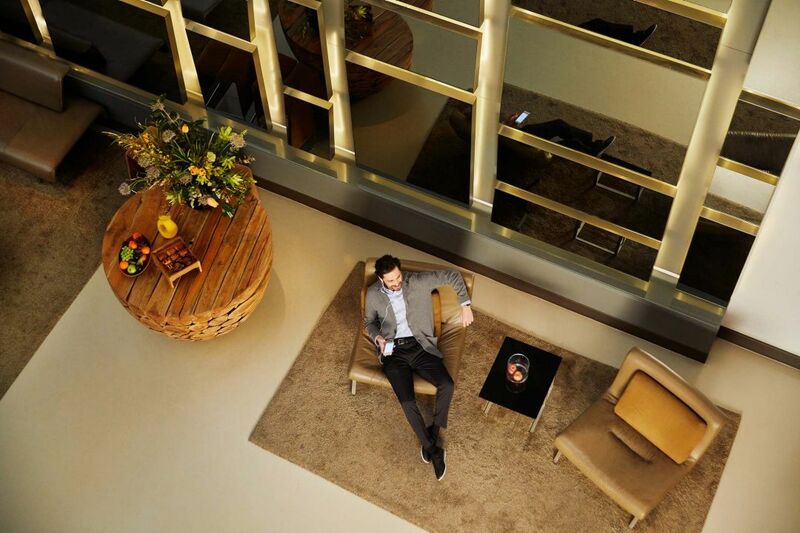 Check into a 350-square-foot space inside SFO featuring floor-to-ceiling windows, a king bed, and a work desk. Unwind in a 377-square-foot space boasting floor-to-ceiling windows, two double beds, and a work desk. Gaze out at the airport from a 494-square-foot space, with floor-to-ceiling windows, two queen beds, and a work desk. Settle into a 437-square-foot accessible room featuring a roll-in shower, floor-to-ceiling windows, a king bed, and a work desk. Relax in this 494-square-foot accessible space featuring floor-to-ceiling windows, two double beds, a work desk, and a roll-in shower. Wake up to sunny views through floor-to-ceiling windows from this 437-square-foot corner room, which has a king bed and work desk. Check into a 477-square-foot space inside SFO, with floor-to-ceiling windows, two queen beds, and a work desk. Stretching 437 square feet, this room overlooks the airport and the bay through floor-to-ceiling windows, and includes a king bed and work desk. Indulge in this 324 square feet, this room overlooks the airport and the bay through floor-to-ceiling windows, and includes a king bed and work desk. Look out over SFO from a 477-square-foot space, with floor-to-ceiling windows, two queen beds, and a work desk. Swing by the Grand Club lounge for refreshments before heading back to a 437-square-foot room, with floor-to-ceiling windows, a king bed, and a work desk. 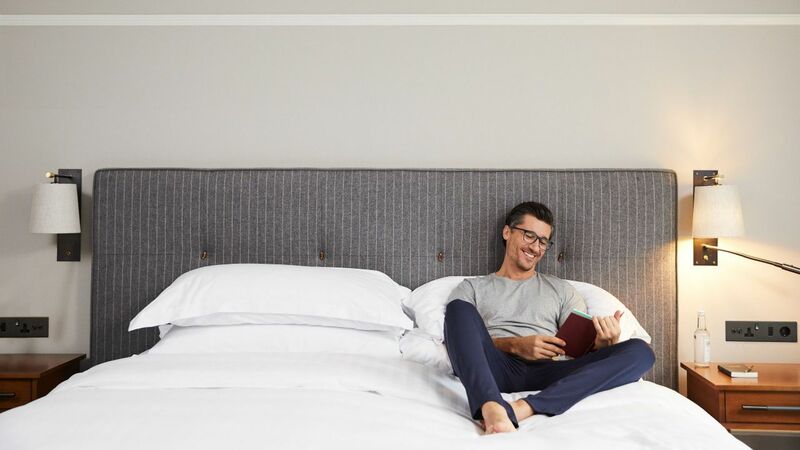 Make the most of your San Francisco visit with Grand Club access when you stay in this 477-square-foot room featuring floor-to-ceiling windows, double beds, and work desk.